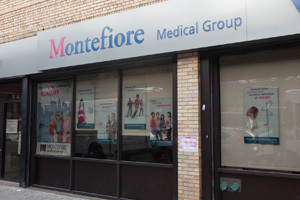 At Montefiore Medical Group Marble Hill Family Practice, we work together with our patients to achieve and maintain their good health. We are a Federally Qualified Health Center, where every patient receives a comprehensive evaluation and has an individualized medical team dedicated to his or her care. Our patients become our partners in their own care. We welcome patients of all ages, regardless of their ability to pay, health insurance status, immigration status or country or origin.